This is our best, most affordable air mover, yet still extremely powerful. 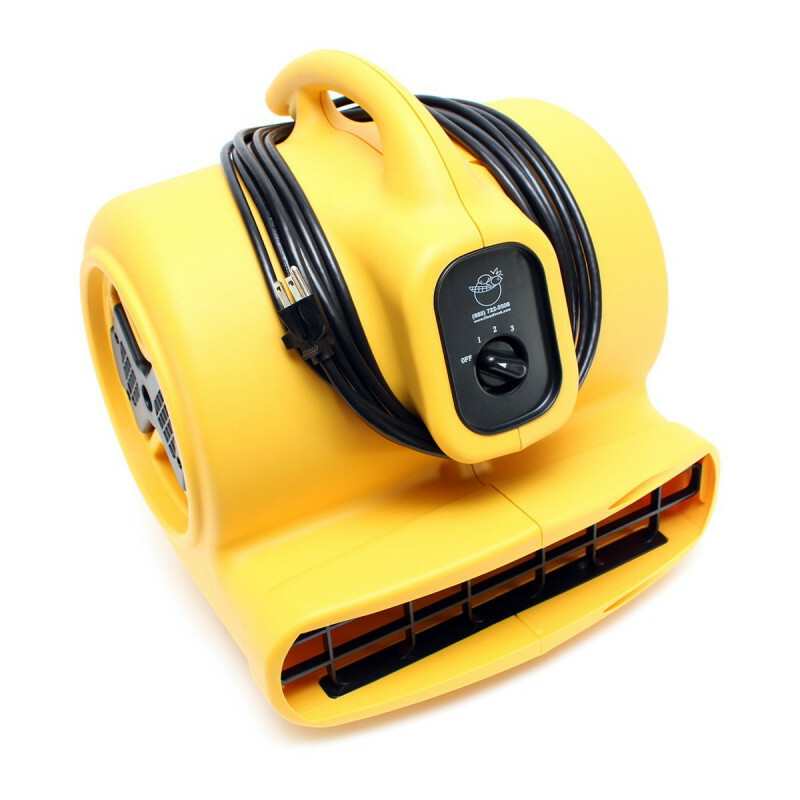 It can be used for any carpet drying or water restoration work where you need to dry things quickly. It also helps to powerfully circulate air when you have a dehumidifier going. 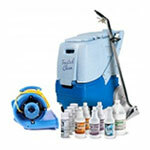 A great tool for flood restoration and carpet cleaning professionals. Take a look at all of our blowers to find just the right air mover for your needs. 1/2 horsepower, 2800 CFM motor is very powerful for the whistle style air movers. Front mounted 3 speed switch allows you to control the air speed. 4 height adjustments allow you to point the carpet dryer in different directions to dry all wet or dampened areas. Injection molded fan body guarantees long life, durability, and a quiet operation.